| Manufactured to order with furniture grade 18mm thick MDF, and finished with matching or contrasting heat sealed PVC edging. 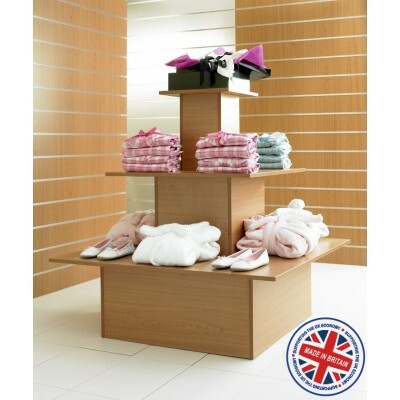 | Great for filling floor space to maximise sales and product merchandising. | Use to highlight product ranges or promotions. | Perfect for clothing, electronics or household goods. | Delivered FREE and fully assembled - a far superior product to flat pack imports. | Highly durable. 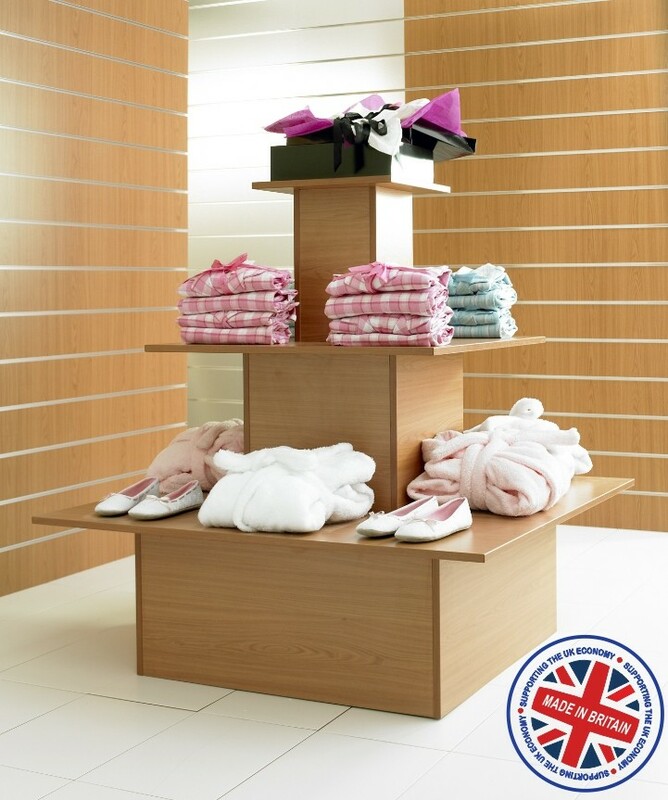 Quality matters to your customer, and it reflects in your display fittings - why compromise? | Available in all our Slatwall finishes for an exact match or a co-ordinated look.